Tile by Paolo & Pavers, Inc.
Cruz & Pena Group, Corp.
JR Pavers and Remodeling, Inc. Comment: 3 blocks of concrete walkway are damaged. One cracked and the other was lifted by roots of some type of bush that has since been cut. Comment: L shaped 3 ft high retaining wall. One side is approximately 22 ft and the other is approximately 35 ft. Comment: I would like to get an estimate for concrete patio slab. 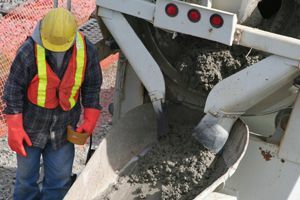 Fort Lauderdale Concrete Contractors are rated 4.68 out of 5 based on 1,284 reviews of 75 pros. Not Looking for Concrete Contractors in Fort Lauderdale, FL?